This is cue design theft of a different sort! My web designer came up with this design and emailed it to me saying he wanted James White to make a cue with the design. The minute I saw the design I feel in love with it. I agreed that Mr White would be a perfect choice. He then decided he really didn't have the money to have the cue built. 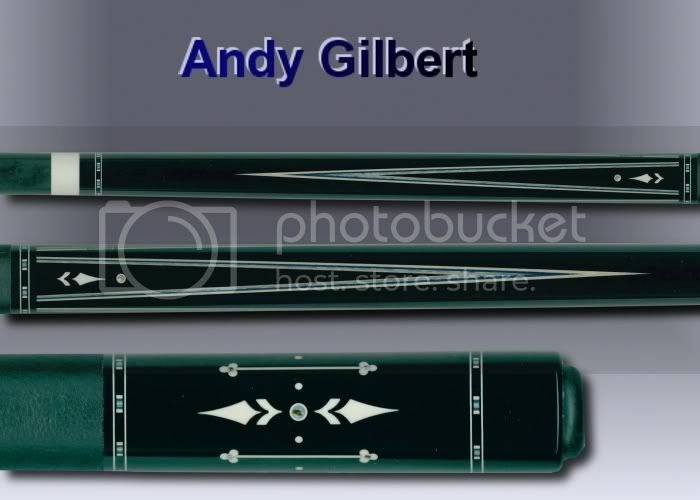 He knew how much I loved the design and offered to let me have the design and have a cue made from it. He knew I was getting ready to go to VF and said..."find a good cuemaker there and have them make you and Ebony/Ebony with the design." Great cue, great design, great story, thanks for sharing your stuff Jamie. Please post more quikly. LOL...That is awesome. Nice PS work!